Living Up to a Legend is filled with reminisces of a time when one threw parties with lots of alcohol, whether at home in Toronto or at the family cottage in the Muskokas (Arthur would nail a huge picture of a martini glass to a hydro pole when they had arrived) and while Diana’s grandparents had money (she was related to the Eaton’s), Diana’s family only had just enough to get by, primarily due to Arthur’s capricious business ventures. Most revealing is her relationship with Arthur in his final years when she reluctantly puts him in a senior’s home and deals with his increasing dementia while trying to live her own life. 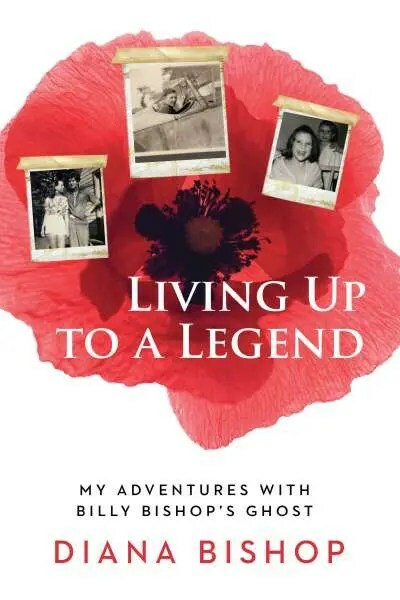 With black & white family photos filling out the account, Living Up to a Legend is definitely a worthy read, particularly so for the uncommon circumstances the author was raised under, and how she eventually became her own successful person, coming to terms with both Billy’s ghost and Arthur’s conflicted form of fatherhood.